As a waterfall, this isn't much to write home about. It's a gentle slide about 60' long, into a deep pool. The water is crystal clear and cold, and the area around the creek is scenic. But it's lack of height is exactly what makes it so popular! The rock is smooth enough and the pool deep enough to make this a great natural waterslide. 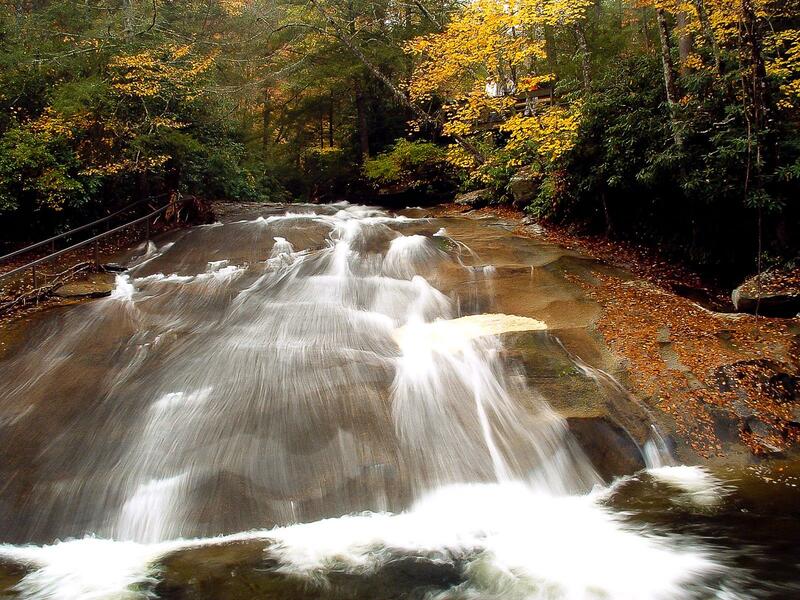 As a result, the area around it has been turned into one of Pisgah National Forest's premiere recreation areas.